Please read our introductory post to this series here. Many people have a variety of questions about the beliefs of the Christian Church. They may be preparing for Baptism, for Confirmation, or they may just be curious about some of the religion’s teachings. This material will hopefully provide a way for readers to arrive at a basic understanding of Christianity as expressed in “An Outline of the Faith” of The Book of Common Prayer, found beginning on page 845, and reproduced at the conclusion of each unit (see below). Today, while many Christians still hold to this, or some other, understanding of Original Sin, others have a more positive view of human nature. As an alternative to Original Sin, the Prayer Book “Outline” proposes that human beings are born “in the image of God.” Born basically good, human beings possess innate capacities to love, to create, to make many kinds of choices, and to live in harmony with God and nature. Some would say further that God’s grace (spiritual assistance) is needed for these capacities to be lived out in this idolatrous world that continually shackles its human residents. When Christians declare “in the image of God,” they are not proposing that human beings are exactly like God! They are not claiming that God has a mortal body, is male or female, or has other human limitations! Instead, Christians are proclaiming basic human goodness and the capacities to act personally rather than like a mindless, heartless robot. However, from the earliest times, human beings have misused their native abilities. We have failed to love by destroying, by being thoughtless, by abusing nature, and by misdirecting our good physical and emotional energies. This realism is embodied in the very beautiful Adam and Eve story. In part, the Adam and Eve story tells us that though they were created good, humans from their beginnings have misused their God-given capacities and have failed to love as taught by God; they rebelled against their Creator! This is a marvelous story by which we can come to an understanding of inborn human goodness, but that individually and as a whole, human beings have made and continue to make unloving choices; in doing so, the human community is prevented from the full blossoming of love intended by God. Is there any hope for humanity? Yes, proposes Christianity, with strength from God and each other, people can live in harmony with God’s intentions and purposes for mankind. If the entire human race would choose to accept with heart and mind God’s purposes for humanity, interpersonal relationships, the very quality of people’s lives, would be transfigured. When can the Creator’s purposes and intentions be discovered? Christians believe that the Creator of the universe has communicated the Divine will for human beings through nature and through historical events, especially the lives of the Hebrew prophets and Jesus. Without such communication, indirect and direct, humanity would be left to flounder with regard to the meaning and significance of human life. What is meant by “communicated his Will through nature?” More and more psychologists speak of the human need, a built-in need to love and be loved. These psychological observations, separate from biblical and theological assertions, are consistent with Christianity. It is as though humanity is receiving an indirect message from the Creator, when social scientists conclude from observations in nature, that all persons are meant to love and be loved! How are God’s purposes and intentions, that is, his Will, learned through historical events? We must admit that every event can be interpreted in more than one way; this is true of an auto accident, a war, or any other occasion. It is possible to view all historical events without any reference to God. It is impossible to observe or report events without some kind of a point of view, perspective, or context! One valid way of viewing and understanding some historical events is to perceive them as communicating directly to humanity something further about God’s Will. For example, when we read of the Hebrew prophets, when we read of Jesus and the quality of his life and teachings, we read of historical people through whom, Christians believe, humanity receives a clearer vision of what the Creator intends for all of us. Their wisdom and their examples provide us with clues (not detailed blueprints or computer programs) to what life is all about. These events are called “revelations” or communications from God. Some human beings who do not accept these revelations arrive at different conclusions about life. One such interpretation is that life has no meaning; it is absurd; we’re trapped on this stupid little planet going around an insignificant little sun journeying around a meaningless universe. To be sure, this is one of many alternative ways of understanding life. Christians, on the other hand, along with Jews and Muslims (the three religions united by the Hebrew Bible, which we call “The Old Testament”), conclude that life has meaning. Life is personal: a sovereign Creator-who-cares searches for humanity’s loving loyalty; the clue to human life is in loving and being loved. This meaning is evident in nature and in certain events. You and I have a choice! We may view the universe as an accidental creation, something that occurred by chance; or, we may view the universe as a deliberate, intended creation. Some believe the first way, others believe the second; and, even others suspend belief. “Atheism” is not an evil expression. It is simply a denial of the existence of a personal God (or a creative intelligence) which brought the universe into being. All reality is a mysterious accident whose origin is unknown. If its origins are ever discovered, it will be from scientific studies, and the origin will be some kind of non-personal object or process. It may be a surprise for you to learn, however, that some atheists do use the word “god.” They believe that the feelings of love within people are of ultimate importance, deserving the label “god.” Such atheists are found attending some forms of worship, and a few are ordained as clergy; for them, all of the words used in prayers, Bible readings, and other aspects of worship are poetic, designed to nurture people’s feelings of love. For them, the goal of worship is to establish affection among human beings at times of worship and in daily life; the poetry of religious rituals can move individuals toward this goal. Christians are generally “theists,” not “atheists.” Theists believe in a creative intelligence, a personal power, also labeled “God.” Many words have been used throughout history to refer to God. Scientists, philosophers and theologians have used “First Cause,” “Designer,” “Great Architect,” Supreme Being,” “Creator,” and so on. Many great Americans, such as Thomas Jefferson and Benjamin Franklin, were a certain type of theist whose beliefs are called “deism.” They believed in a God as architect of the universe. But, they did not believe that revelations have occurred through particular events or that the Bible and worship are fundamental. Deists believe that correct reasoning by individuals would lead them to accurate conclusions about life. Jefferson and Franklin did not oppose the use of the word “God” or organized religions, but they insisted that no one particular interpretation of “god” or religion would become the official religion of the nation. Collaboration between government and religions, however, was acceptable, such as the use of paid chaplains in the armed services, in state legislatures and in Congress itself. Many citizens assume wrongly that the word “God” used by some of the nation’s Founding Fathers was within a Christian theological context. Christianity is another form of theism. For Christians, God is not only the architect, creative intelligence, etc., but also Someone who actively loves His creatures. “Father” is used to warm and personalize the Christian experience of the Creator. Throughout 2,000 years Christians have not viewed God as indifferent and unconcerned, but like a loving parent, watching over, nudging, urging, and holding his children accountable. Many of the experiences which convince Christians of the Creator’s father-like relationship with the universe are found in the Bible. However many individuals are also convinced of God’s fatherly love, because of their own experiences. The word “father” is used instead of “mother,” because of the customs of the Hebrew people, where the word originated for Jews and Christians. If the same experiences had occurred in a different culture, “mother,” might have been used. When Christians pray “Our Father,” they are not praying to a male figure, but instead to the caring, parent-like Creator of the universe. Some contemporary Christians try to avoid using either “father” or “mother” in reference to God, in order to escape restrictive human categories; others continue to use ”father” with the understanding of its basic intent of personalizing God. An issue confronting theists, especially Jews and Christians, for nearly 4,000 years is this: If the Creator really designed the universe well and is so caring, how can he allow earthquakes (and other natural disasters) and illnesses that afflict innocent human beings? Why do the innocent suffer? Why do bad things happen to good people? Although no one has arrived at a fully satisfactory answer, one cautious proposal is this: The universe is still evolving, still being created; the Creator uses evolution as the method for developing reality. Events such as earthquakes are natural occurrences as evolution takes place. Diseases also occur as evolving natural processes are refined. In any case, this proposal in no way suggests that people harmed by a natural disaster or by disease are being punished by God. In biblical thought the universe belongs to God, and he develops it according to his wisdom, which is certainly beyond human understanding. In a real sense, we are all God’s guests and ought to enjoy the world according to his intentions and purposes. The universe is not ours to ruin by exploitation and destruction of natural resources. Furthermore, as creations of God, human beings belong to the Creator, like a child belongs to a parent. Humanity belongs to God, not just as his property, but as his children, as inheritors of a trust, as stewards of our world, and as each others’ brothers and sisters. I suspect we’ll find that “proofs” are usually supports for a given conviction, belief, theory or hypothesis. Except for the narrowest of laboratory sciences, proofs for anything are rather elusive. Think of someone that you believe loves you. Can you prove beyond doubt that the love is actually there? Isn’t it theoretically possible that the behavior you perceive as love is just an act? However, without absolute proof, at some point in a relationship, we become convinced that the love is really there; we are persuaded — even though theoretically we might be wrong. Very little, if anything, in this world can be proven or confirmed with absolute certainty. Instead, we have explanations and interpretations. We have explanations in psychology, in economics, among the physical sciences, and even in mathematics. And, we have conflicting explanations in each area, too; Freud interpreted human behavior one way, and Jung another way. One economist explains the causes of inflation one way, and another economist a different way. The same is true for physicists and other such scientists. Each scholar experiences the evidence, the very best evidence available, and offers an explanation or interpretation. Imagine that a Being appears suddenly in front of a group of normal people. The Being announces that he is God, and miracles are performed. Afterwards conflicting explanations/interpretations of what happened would be offered by members of the group. One member might explain the event as a hallucination, another a clever trick, another an unexplainable event, and another might propose that the Being was God. No such spectacular occurrence would lead only to the one conclusion that the Being was God. As is the case with most matters, we are left with what we find persuasive, and that will be our explanation. The theological issue here is that God is self-revealed as personal, and yet God is not a finite object, limited by space and time, but rather non-finite or infinite. Thus any attempt to state the infinite personhood of God must not stress the infiniteness in such a way as to fall into subpersonal categories. The concern to transcend the personal often derives from the presupposition that the more abstract a concept is, the more spiritual it is, and the more concrete or personal, the less spiritual. From the point of view of the Bible, the opposite is true, as we have seen above. The concrete, anthropomorphic, personal way of speaking about God is sometimes said to be primitive and naive, but it is the only way personal reality can be spoken about, and it is therefore a necessity in our language about God. “Covenant” means a solemn agreement between two parties. A very important theme throughout the Bible, “covenant” appears more than 200 times. When some Christians speak of the “Old” Covenant, they appear to dismiss the Old Testament agreement between God and his people; in their understanding it is outdated and no longer in effect. Other Christians, including most theologians, equate “Old” with “ancient” and view the “New” Covenant (the New Testament) as a development, not a replacement, of the Old. What is the Old Covenant? For reasons unknown to humanity the Creator invited (through various historical individuals and events) the Hebrew people to establish a Covenant relationship with him. Clearly, if God intended to establish a relationship with humanity without forcing it on them, he had to choose spokespersons through whom he could be known subtly and gently. But we do not know why the Hebrew people were selected; that reason remains known to God alone. The “Ten Commandments” or “Decalogue” (from the Greek, “Ten Words”) “were designed to convey to the Israelites a representative sampling of the laws to be given subsequently but was in no sense to be a summary of them, much less an act of legislation in their own right. Thus it [the Decalogue] contains some of each of the two main types of religious law: those pertaining to the individual’s obligations toward God and those pertaining to his relations with other people. It also contains both forms of command, positive and prohibitive. … The Bible nowhere refers to the Decalogue as ten commandments. The text of the Decalogue does not even divide naturally into pronouncements; the number of commands (positive and negative) is more than ten, whereas the number of topics is nine. … Yet the Bible refers to it as ‘the ten words’…apparently using this round number as an expression of totality, as is found in other places in biblical and Talmudic literature. Various methods arose for dividing the passage into ten commandments. … The two versions of the Decalogue (in Ex. and Dt.) differ in several particulars, all of which are stylistic and not substantive in nature.” [from The Oxford Dictionary of the Jewish Religion (1997), pp.683f.] There are differences among Christians in the numbering of the Commandments. The practical application of the Commandments is another matter. Are they all equally binding laws with[out] exceptions? Is there some degree of flexibility? Christians are not unanimous on the issue of practical application. However, they do agree that the Commandments are not mere suggestions that encourage people to “do their own thing.” No responsible spokesperson has advocated a morality wherein every individual can follow his own, private inclinations; in every relationship, in every group, certainly in every civilization, boundaries of acceptable behavior exist. Without some moral framework, without some limits on conduct, chaos would exist, whether between two people or among millions. The disagreement among Christians occurs on two basic issues: Is each Commandment equally binding and of absolute value? That is, is each Commandment an important as the other? And, are Commandments to be applied “by the book” or according to the situations? One view is that the Ten Commandments are all equally binding absolute laws which can never be broken. Human behavior is judged by obedience to these ten laws and any other laws they imply. Where did the Ten Commandments come from? Jews and Christians believe that somehow God revealed the Ten Commandments to Moses who in turn gave them to the Hebrew people. There are beautiful legends about this revelation, but they are not to be taken literally. Let’s just leave the question open as to how the Ten Commandments were revealed and be grateful that we have them. If you will look at them one by one, ask yourself this question: Do they make sense under most circumstances? What would life be like if each Commandment were written to imply the opposite, such as you shall murder? What are our relationships usually like when we disregard or ignore a commandment? From a Christian (and Jewish) viewpoint, when an individual or group gives its highest loyalty to an idol, that is, a false god, sin results. Another word for sin is “idolatry.” (…) Anything or anyone can be an idol for anyone who regards that thing or person as the primary focus of life. Ordinary needs, day-to-day responsibilities, even people we love and admire, can become false gods. Here are some examples of things that can become idols: power, competition, money, success, doing good things for people, natural bodily desires, following rules, patriotism, work, hobbies, knowledge, and possessions. Even the Bible itself can become an idol, when it becomes an end in itself. Some examples of people that can become false gods are: parents, children, teachers, athletes, entertainers, clergy, government officials, authors, employers, and friends. Any potentially good thing, person, or relationship becomes a false god when it, he, she, or they become our ultimate concern for a moment or longer. Basically evil idols (such as tyrants) are easier to recognize. Because our ultimate choices affect our lives directly, the Christian religion cautions humanity about its fundamental allegiances. Commitment to the true God or to false gods determines, shapes, and sets borders on our feelings and relationships. Christians claim that loyalty to the Creator, as stated in the “Summary of the Law” (see Unit 5), provides the best forms of freedom, the most positive feelings, and the most significant relationships possible for human beings; allegiance to any sort of idol shackles true freedom, unduly limits and/or distorts many emotions, and cripples many relationships. False gods prevent our fullest abilities to love and be loved and can even generate hatefulness or indifference. Christians accept Jesus as God’s Messiah. “Messiah” is based on the Hebrew masiah meaning “Anointed One” – equivalent to “Christ” (from the Greek christos). In the Christian recognition of Jesus as the Messiah, Christians modify the Jewish messianic expectation that to this day includes a military and political savior who would establish an observable reign of justice and peace. Many contemporary Jews still await a Messiah who will fulfill this expectation; other Jews await not a person, but a Messianic Age of justice and peace. Christians believe that comprehending Jesus as the Messiah is a profound deepening of the meaning of “Messiah” as God’s new agent of redemption. A. covenant is a relationship initiated by God, to which a body of people responds in faith. III To show God respect in thought, word, and deed; IV And to set aside regular times for worship, prayer, and the study of God’s ways. A. Since we do not filly obey them, we see more clearly our sin and our need for redemption. There have been many attempts throughout history to explain precisely Jesus’ relationship to God. Sources for this task have always been limited; no biography of Jesus exists. Instead, the Christian Church must rely on the New Testament and later insights. The Church selected the writings now known as the New Testament, written in Greek, during its first three hundred years. Within the New Testament are the four Gospels: Matthew, Mark, Luke, and John. (The word “Gospel” means “Good News.”) United in their Proclamation of Jesus as the Risen Lord and Christ, each Gospel provides a somewhat different portrait of Jesus’ ministry and teachings; none was intended as a biography. In the New Testament Jesus is referred to by many different titles, among them “Son of Man,” “Christ,” “Lord,” “Rabbi,” and “Son of God.” Each title had a particular meaning in Hebrew traditions. The Christian Faith views Jesus the Christ as the Creator’s intentions and purposes for humanity embodied “in the flesh.” In this sense, he is “God’s Word” sharing our humanity. Christ shows all people God’s active love, including God’s Will: the Summary of the Law (See Unit 5.). It is tempting to suppose that Jesus, Buddha, Confucius, and other great religious leaders are all embodiments of God’s Will, but that overlooks the reality of their different, often significantly conflicting, teachings. For example, each leader uses the word “love,” but the meaning of “love” changes significantly from teacher to teacher. It is wishful thinking to believe that all religious leaders offer the same basic teachings or point to the same God. They don’t! Many elaborate interpretations of Jesus have been proposed as theologians try to be precise. Some have been excluded as being too one-sided, others as incomplete. The Christian Church as a whole has never chosen one elaborated view as the one, true and complete explanation of Jesus and his relationship to God. Christianity has consistently viewed Jesus as unique. His relationship with God was very special. In some sense Jesus was “divine.” One interpretation of “divine” is that Jesus, as God’s intentions for humanity expressed in a human being, was in a full relationship, complete harmony, total communion and fellowship with God. Another more elaborate interpretation is that God’s Word, existing as one of three divine “persons” of the one God, entered Jesus, such that as an individual he had a “human nature” and a “divine nature.” The second interpretation is the more traditional or orthodox of the two mentioned here. However, the first (regarded as inadequate by traditionalists) is central to many Christians’ beliefs. “Christology” – the study of the person and ministry of Jesus Christ remains a major theological topic, an indication that the final word on the subject has not yet been provided. It appears that Jesus’ commitment to active love was so total that he offended seriously the chief religious leadership of his people; political implications were exploited so that his execution was possible under Roman law. To blame all Jews for the Crucifixion makes no more sense than holding all Italians responsible – because Pilate was Roman! Various Christians have understood the meaning of Jesus’ suffering and death in different ways. “Atonement (‘at-onement,’ a sixteenth century coinage) is the reconciliation of sinners with God, especially through the cross, as communicated through the gospel and sacraments. The cross is proclaimed as somehow resolving the human predicament; but the predicament and its resolution can be understood in quite different ways.”2 Here are some interpretations of the Crucifixion, a few of which (e.g., statements h, j and l) are related to formulations of doctrines of Atonement. a. Mankind is shown that Jesus was totally loyal to God even though his loyalty resulted in his conviction for treason, in torture, and in death. b. The Cross is an example of the extent to which human beings can hate a non-conforming, loving person. c. Jesus’ death puts our sufferings into perspective; few others will ever have to undergo such an ordeal. d. The Cross shows us how far God lets humans use their freedom. e. The Cross expresses and reveals the power, hatefulness, and worst consequences of humanity’s broken relationships with God and each other: killing the Innocent. f. The Cross is a symbol that Jesus asks nothing of us that he has not demonstrated. g. Jesus’ death was the point where the world’s alienation from God came into focus and showed both its reality and power. h. Jesus sacrificed himself; he offered himself fully to God. He gave himself for his fellow human beings so that he could represent to them the reality of their separation from God; he also represented to God the human condition: the capacity to love as he “lived love” and the reality of evil as evil was done to him. i. The Cross is humanity’s “no” to God. j. Jesus’ sacrifice of his life is the oblation (offering) of a perfect life that we cannot offer. Alone he has fulfilled the intention of God for human life, and God accepts the offering of that life. Our imperfect offerings are now acceptable when joined with his one perfect sacrifice. k. Jesus died “for us and for all persons” in the sense that all humanity is affected by his total self-offering, and all people are called to believe, to trust, his word. l. Because of long-standing human sinfulness, the very fabric of the universe had become corrupted; the sacrifice of Christ to God brought about redemption (restoration) of all created reality. The Resurrection of Jesus, which Christians specially celebrate each Easter Day, has also been interpreted in more than one way, as an actual, literal event just as described in the New Testament, or as a poetic symbol of the Disciples’ inner sense of joy and victory – their response to Jesus’ teachings and personality. Either way, the Resurrection means that the Cross is not the end; God’s Will of love is ultimately victorious for all who confess Jesus as “God’s Word.” Every human life, even those who endure harsh suffering (represented by Good Friday), may enter into the joy of Easter as the over-all perspective of living, if they are part of the Easter fellowship of Christians. a. The Resurrection is a point of transition for human history: a new order of life based on love (not rules, procedures, or ceremonies) and based on being part of a joyous, loving fellowship, the Church, (not being alone or part of a lesser fellowship) has been established. b. God has placed his seal of approval on Jesus’ life and ministry; death did not silence Jesus’ life or teachings. c. The Resurrection is God’s confirmation of Jesus as his Messiah. With a new meaning, Jesus is viewed as the awaited Messiah, one who brings to humanity deliverance from hardness of heart, one whose focus on love can liberate all of life, including the political. d. Everlasting life, begun as individuals enter the New Easter Covenant focusing on Love, continues beyond death. One’s transfigured personality survives death, which like birth is an entrance to another realm of existence. e. Without Easter, the story of Jesus would be a dismal failure; as a mere footnote at most, history would mention an unbelieved and unbelievable executed rabbi living and teaching love! Easter is in a sense celebrated whenever Christians gather for worship. It is a time to worship God in the name of “God the Son” – often phrased “through Jesus Christ our Lord.” By doing so, its members recall and celebrate the meanings of Christianity for their lives, realign their lives toward the true God and his Will, and proclaim the trustworthiness of the Creator-Shepherd of his sheep. 1R. Fuller, “Jesus Christ” in The Oxford Companion to the Bible (1993), p. 361. Other sources include R. A. Norris, Understanding the Faith of the Church (1979), pp. 159f. ; O. C. Thomas, Introduction to Theology (1983), pp. 155 & 171; The Cambridge Companion to the Bible (1997), pp. 460 & 539; “Son of God” in The HarperCollins Bible Dictionary (rv. ed., 1996), pp. 1051ff. 2E. Teselle, “Atonement” in A New Handbook of Christian Theology (1992), pp. 41-43. Hilkert comments that “because his theological reading of the story of Jesus was rooted in historical reconstruction of his life and praxis, Schillebeeckx argued that the death of Jesus was, from that perspective, neither saving nor good news. Rather, it was the execution of God’s faithful and innocent eschatological prophet. In a world of senseless evil and suffering, Schillebeeckx did not want his readers to forget that the crucifixion of Jesus was a ‘historical fiasco,’ the apparent victory of human injustice and sin, and an event in which God remained silent. While the execution of Jesus was absurd and meaningless in itself, Schillebeeckx admitted that to say that we are saved ‘despite the death of Jesus’ does not say enough. The saving grace to be discovered in this ultimate ‘negative contrast experience’ is to be found in Jesus’ resistance to evil, by refusing to turn his back on his mission of proclaiming the reign of God, his fidelity to Abba in the darkness even unto death, and his embrace of solidarity with all those who suffer. Thus Schillebeeckx concludes that Jesus, empowered by the Spirit, took an event that was in itself absurd and meaningless, and filled it with God’s own meaning and love. The ‘unbroken communion’ between Jesus and Abba was the saving power of love triumphing over evil and death, breaking its power. “Schillebeeckx’s retelling of the story of Jesus concludes with his analysis of the Easter experience of the first disciples. In a move questioned by many exegetes, Schillebeeckx describes the Resurrection appearance accounts as narrative expressions of disclosure experiences of conversion. Using the male disciples as his paradigm (and drawing on the conversion of the apostle Paul in the Acts of the Apostles to help interpret the synoptic narratives), Schillebeeckx argues that the disciples, who had abandoned Jesus and scattered at the time of his death, subsequently had a profound experience of being forgiven, re-gathered, and commissioned to proclaim the Good News of Jesus’ Resurrection. That is explicit theology, and radical. The New Covenant lived and taught by Jesus emphasized mutual love-in-community as essential to life. Laws, procedures, and customs are binding and useful only to the extent that they promote such love. When we hear Christians using words like “Kingdom of God” in connection with the New Covenant, we’re learning about a Christian belief in perfected love in God’s presence. It’s very important to distinguish between the Kingdom of God and the church! Too often individuals expect the church, which is made up of imperfect human beings, to be the perfected Kingdom; when they discover the errors and frailties of the church, they become disillusioned. Had they understood the humanness of the church and its distinction from the Kingdom, had they understood that the community called “The Church” is on a pilgrimage toward the Kingdom, they would have had a more realistic picture of the church’s mortal limitations and goal. The situationist enters into every decision-making situation fully armed with the ethical maxims of his community and its heritage, and he treats them with respect as illuminators of his problems. Just the same he is prepared in any situation to compromise them or set them aside in the situation if love seems better served by doing so. Both approaches (legalism and situation ethics) have apparent strengths and weaknesses. On the one hand, having many rules and “going by the book” without exception appears always morally right; in some circumstances, however, the “good” might be cruel in its results. On the other hand, an appeal to the love of God, neighbor, and self as the only absolute rule allows for flexibility for the best possible results for persons involved; however, fuzzy thinking and self-deception are quite possible. Christians, as we said before, differ as to which approach is best. Occasionally the General Convention of the Episcopal Church provides Resolutions about moral issues, such as war and peace, ecology, justice, capital punishment, abortion, sexuality, biomedical ethics, etc. These may be accessed at http://www.ecusa.anglican.org/governance/general-convention. These Resolutions are adopted after careful study and by vote. Not regarded as infallible or compulsory, they are offered as advisory and instructive. An historian, Professor Ross Mackenzie, has written a brief article “Creed” in the Academic American Encyclopedia. His slightly abridged essay, which serves our purpose well, follows. A creed is a brief, authorized summary of the Christian doctrine that is sometimes recited in church services as an affirmation of faith. Formulations of the Christian faith, presumably taken as the basis of teaching and evangelization, are to be found in the New Testament, although in a rudimentary form as in 1 Cor. 12:3. St. Paul wrote of believers who submitted without reservation to the creed that they were taught (Rom. 6:17). Of the two classical creeds, the Apostles’ Creed belongs in its essential content to the apostolic age, although it is not the work of the Apostles. It had its origin in the form of a confession of faith used in the instruction of catechumens (converts undergoing instruction) and in the liturgy of BAPTISM. The creed may have been learned by heart and at first transmitted orally (to protect it from profanation). It is based on a formula current at Rome c. 200, although the present form of the text did not appear before the 6th century. 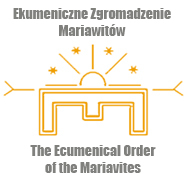 It is used by Roman Catholics and many Protestant churches but has never been accepted by the Eastern Orthodox churches. The Athanasian Creed… was first clearly referred to in the 6th century, and the attribution to ATHANASIUS is untenable. It is Latin in origin, and in the Middle Ages it was regularly used in church services. Since the Reformation the liturgical use of the Athanasian Creed has been confined mainly to the Roman Catholic church and the Anglican Communion, although it is now infrequently recited. “The Creed of Saint Athanasius” is in the “Historical Documents of the Church” section of the The Book of Common Prayer (pp. 864 f.). The general acceptance of the formulations drawn up in another age and another context of thought gives rise to special problems, especially when some of the phrases used are indisputably symbolic, and no clear distinction is drawn, or perhaps can be drawn, between these and others. …It is not their purpose to affirm either historical facts or metaphysical truths merely as such. It is as expressions of the Gospel and of the presuppositions (basic convictions) of the Christian life that the statements of the Creeds, whether in the sphere of history or in that of philosophy have permanent truth and value. In this sense every clause in the Creeds is of necessity ‘symbolic.’ … Statements affirming particular facts may be found to have value as pictorial expressions of spiritual truths, even though the supposed facts themselves did not actually happen. They are historically grounded and traditionally hallowed affirmations of the Christian belief of all ages. By the very fact that many of their words are pictorial or dramatic in nature, they delivery us from literalism. By their very antiquity, they unite us with our brethren in faith through all the ages of Christianity. bove all, by their close relationship to the primitive Christian proclamation, they ground us in the faith which is found in the pages of the New Testament and which informed the life of the earliest Christian believers. They are indeed indispensable. The next entry is explored in Unit 6. Doctrines formulated within philosophical and theological perspectives heavily influenced by particular forms of Greek abstract thought deny that any literal statements about God are possible. Within this way of thinking, figurative uses of language, including metaphor (a figure of speech in which a word or phrase literally denoting one kind of object or idea is used in place of another to suggest a likeness or analogy between them (as in drowning in money); broadly: figurative language) and analogy (inference that if two or more things agree with one another in some respects they will probably agree in others), are believed to be the only suitable language about God. For example, the statement “God is personal” is regarded as a metaphor or analogy. The doctrine of the Trinity, resulting from Greek philosophical influences in the early Church, is clearly figurative language that reveres God as Holy Trinity, even though the term Trinity does not appear in the Bible. The biblical uses of “Father,” “Son,” and “Holy Spirit” do not reflect a developed trinitarian doctrine. As far as we know, Trinity was first used by Theophilus of Antioch about 180 A.D. as an attempt to describe the fulness of God as revealed in Christ. The doctrine is also an imperfect attempt to develop a partial understanding of God’s inner life and being as a communion of persons. More technically, and please be patient with this complex paragraph, the classical doctrine states that God exists as three persons – Father, Son, and Holy Spirit – who are united in one substance. “Persons” is not used as in ordinary speech meaning three personalities, but as distinctions of mutual coinherence (i.e., co-involved in the essential, insepararable quality of the divine) in the Godhead. In the 4th century the doctrine was finally formulated in terms of the mysterious coequality of the persons of the Godhead. The Trinity may be understood on different levels: a uniquely Christian theological meaning of “God”; a conviction that attempts to gather up the Christian experience of the God of the Hebrew tradition; and, as speculation about the substance, essence, and inner dynamic being of ultimate reality. In more ordinary language we might reflect on the Trinity in this way: Our Triune God is the Father (loving creator of the universe), the Son (the Word who reveals New Covenant Life), and, the Holy Spirit (provider of strength, comfort, healing and inspiration). Furthermore, it is helpful to affirm the Trinity as a poetic symbol pointing to the God we worship, the God who cannot be completely explained in precise human categories. Needless to say, the Christian experience of God in this threefold understanding has been interpreted in more than one way. Some views were judged unbalanced or inadequate and therefore ruled out by early Councils of the Church; other elaborated views of the Trinity compete for primacy to this very day. It is also very important for us to keep foremost in our minds that interpretations of all human experiences are developed in the context of various historical periods, each with its own ways of thinking, its own emphases. We may expect the threefold Christian experience of God, labeled “The Trinity,” to undergo different explanations at diverse times and in varied cultures. None of the explanations is God or the actual experience! The reality of God remains firm as does the basic Christian experience of God. However, human formulations of that reality and of that common experience will continue to vary. Whenever total theological clarity about the Trinity eludes us, as it always will, we might remember that we do not worship doctrines, anymore than we worship portraits of cherished persons. Our personal and corporate relationship with the God of Abraham and Jesus does not depend on a finalized blueprint of God’s own self-existence. Nonetheless, we continue to attempt to avoid erroneous and misleading notions. Having discussed “God the Father” in Unit 2 and “God the Son” in Unit 4, we must not forget “The Holy Spirit,” the “third person” of the Trinity. Also called “The Holy Ghost,” a poetic term of a different historical period, the Holy Spirit is a Christian symbol of the Creator’s activity in the world. A central theme throughout the Bible is that God inspires, influences, empowers, and strengthens his people; God neither controls them like robots nor programs them like computers. This is a very important belief of the Christian Faith. Nevertheless we meet Christians repeatedly who expect God to control of their lives, to control the wills of other individuals, and who pray that God will “program” themselves or others. The notion that God ever intervenes in such a way to control anyone’s will is utterly foreign to biblically based Christian views. God never makes anyone into a puppet, regardless of the person’s intentions or actions! In fact, such controls are regarded as “demonic” in the Bible. That the Holy Spirit is present in one’s life is obviously a matter of trust. Something might happen in an individual’s life such that the presence of the Holy Spirit is felt. But again, this is a matter of personal faith, personal witness, and never scientific or historical objectivity. Some Christians claim to know with absolute certainty that they have special gifts from God through the Holy Spirit. Such people who parade their gifts in public frequently lack humility, love, and faith. However, others with great trust and love, celebrate and witness to their experiences of the Holy Spirit with personal humility and for the benefit of the Church. Throughout this commentary we have frequently referred to the Bible. For Jews the Hebrew Scriptures (or what Christians call the “Old Testament”) constitute the whole Bible or in other words “The Holy Scriptures.” For Christians, The Holy Scriptures consist of the Old Testament and the New Testament, or in other words the Old (Ancient) Covenant and the New Covenant. Other books called the Apocrypha are included in the Bible by some Christians and not so by others. The Prayer Book Catechism states: “We understand the meaning of the Bible by the help of the Holy Spirit, who guides the Church in the true interpretation of the Scriptures.” Many Christians would regard this as an overstatement, because holy and scholarly churchmen and women continue to differ on matters of interpretation. On many scriptural passages the Church as a whole does not have a singular understanding regarded by all informed faithful as absolutely true. Amidst its many possible interpretations, however, the Bible provides the fundamental faith of who Christians are (each is a unique child of God) and what we are called to do (to love God, our neighbors, and ourselves). The sense of identity and vocation engrained in the Bible offers a meaning of life unique among the holy writings of the world’s religions and the philosophies originating in human speculation. Most of the Hebrew Bible, which contains the evolving Covenant, was written in Hebrew; a small portion was written in Aramaic, the language spoken by Jesus. Its books were written over several hundred years. The Hebrew people selected particular documents as being authentic writings about their Covenant with God. They contain folklore, poems, stories, regulations, history, records, and other types of literature. “Fundamentalists” usually insist that every word in the Bible is to be taken literally with the exception of a certain amount of figurative language in biblical parables, poems, and music (e.g., the Psalms). These literalists are to be found among Jews (especially Orthodox Jews) and Christians. However, Roman Catholic, Episcopalian, Lutheran, Methodist and other Christian scholars are not (for the most part) literalists; they take a “critical” or “analytical” approach in order to discover the meanings of the various types of biblical literature. Yet, uninformed members of these traditions believe that biblical literalism is their only choice. Non-specialists have resources on which they can rely whenever they want to know what is meant in a particular passage. The New Interpreter’s Bible, The Interpreter’s Dictionary of the Bible, The Anchor Bible Dictionary are but three of the many fine reference works available. As new discoveries about language, history, and customs are discovered, revisions and new resources are published. Why is the Bible called “The Holy Bible?” “Holy” means “sacred,” or specially related to God. Each community of faith (whether Jewish, Christian, Muslim, Hindu, etc.) decides for itself what its “holy” writings are. Each believes that their own scriptures are inspired, revealed, and/or enlightened. There is no objective method by which a religion can prove its own is “the real thing.” The designation of writings as holy results from the consensus of each religion’s leadership and people. What makes the Bible true and holy for Christians (the Hebrew Bible for Jews) is that it reflects and shapes their experiences; it speaks to their lives; it provides a comprehensive view within which Christians understand the meaning of the universe and their individual lives. For Christians, the Bible with its many literary forms is “God’s Word” (not God’s words) for humanity; it is a sacred collection of writings that reveal the Creator’s most important self-disclosures through God’s actions in human history – actions that communicate all that an individual needs to know in order to live in harmony with God, the universe, and others. Q. What is the Apocrypha?? In Christian theology the Church is recognized as the evolving, imperfect community of baptized people who are called to acknowledge Jesus as Lord and Christ and, with God’s grace, to cooperate with each other in his extraordinary mission committed to the coming of the kingdom of God; the Church is God’s people called together to worship God and to affirm their unity in acts of worship. In the Creeds the Church is described as one, holy, catholic, and apostolic. In a very general and ideal sense the Church is “one,” in that its members share a view of Jesus as “Lord and Christ.” However, several interpretations among Christians of “Lord” and “Christ” and their various implications have created the many churches or denominations. Some individual Christian churches are convinced that they are the only true holy, catholic, and apostolic Church. Such a church teaches (perhaps less vigorously today) that it is the “one true Church.” While such phrases are still on the lips of many clergy and lay members, theologians of these churches are usually far more modest in their claims! Of particular importance is the view that the church is people, sometimes gathered together for worship and at other times dispersed in homes, jobs, recreation, and wherever life takes its individual members. All Christians are churchmen or churchwomen wherever they are, and their mission remains with them in all circumstances. Far from being a building or the chief clergy, the Church is the entire body of Christian people; the separate churches are particular groupings of that same body. The mission of the Christian Church is carried out by its ministers, that is, all of its people. However, ministry has been and continues to be organized or ordered in various ways. In some Christian churches leadership is provided by one or more inspired members of a congregation; responsibilities for worship, religious education, pastoral care, administration and any other areas of recognized Christian service are absorbed by those individuals who feel called to such. In other Christian churches ministry is ordered, such that persons set apart by ordination have particular leadership responsibilities; those not “ordained,” that is, “laypeople (or the laity”) have some different responsibilities for ministry. Obviously each type of ordered ministry (episcopal, congregational, etc.) believes it is most faithful to the intentions of Jesus Christ; each views itself as an authentic, if not THE authentic, ordering of ministry of one, holy, catholic, and apostolic Church. Historians today admit to some variety in the ordering of ministry from the apostolic age itself to the present. But the debate continues among the churches as to which ordered ministries are whole and valid and which are not, and therefore, who may worship and collaborate with whom and under what circumstances. “I don’t get anything out of it!” “It’s boring!” “I don’t need to go to church, in order to be a good person.” “Those people who go to church! Look at the contrast between what they say in church and what they do the rest of the time. Hypocrites!” Such protests are common and to some extent may be legitimate. However, individuals cannot possibly “get anything out of it” unless they know what to expect from prayer and worship. And, it may indeed be boring, if the ingredients of the worship are not understood and/or if the styles of leadership are monotonous; but, in all fairness, we cannot expect worship (or even a family dinner) to provide the same eye and ear-catching movement of a stadium concert or of a multi-million dollar television production! People able to respond only to extravaganzas or entertainment need to broaden their capacities for other life events: a conversation with a friend, a relaxed hour with quiet music, a walk in the woods or a park, a meal among loved ones, and, yes, prayer and worship! We readily admit that a person can be good without going to church, if by “good” we mean living a decent life based on some interpretation of “love” or the Golden Rule. An atheist can be a moral individual, in this sense. We admit also that churchgoers fail to maintain the various standards lived and taught by Jesus; they confess this failure frequently as a part of their order of worship, as well as in private prayer! These failures are not hypocrisy, for few churchgoers would ever claim that their lives are perfect! A hypocrite is one who pretends to be perfect; hardly any worshippers joining in confessions of failures would be silly enough to pretend perfection! Prayer is the intentional opening of human lives to, the alignment of human wills with, and the direction of human desiring toward, the cosmic Love that is deepest and highest in the world because it is the main thrust or drive through the world toward sharing and participation in genuine good. – and hence toward the truest possible fulfillment of human personality as God wishes it to become. Public prayer or church worship is the way in which we unite with others in expressing dependence on this Love, opening ourselves to it, and willing cooperation with it as ‘fellow-workers with God.’ Private prayer is the way we do this in our own particular ways. In church worship Christians celebrate and affirm again and again their fundamental identity as children of God and their meaning of life (covenant living). With words (ritual) and ceremonies (actions), various forms of worship dramatize the participants’ beliefs about and relationships with God and each other. Directed toward the one true God, adoration, praise, thanksgiving, penitence, self-offering, and presentation of human needs are principal kinds of private and group prayer. Without such prayer and worship, truly personal relationships with God are diminished, if not lost altogether. And, one’s fundamental Christian identity and purpose of living can give way to the many self-defeating alternatives found elsewhere. However, one may legitimately raise questions about some types of prayer. Is it appropriate to pray to win the lottery, pass an exam, or receive a promotion? Why pray for peace; isn’t it human responsibility to bring about peace? What do we really mean and expect when we say “Please pray for me” or “I’ll pray for you”? When there has been a disaster, what purpose does prayer have as our response; what are we praying for? What are the differences between reflection, meditation, relaxation, venting, and cerebral silence (such as a trance within which self-awareness is extinguished)? What is the difference between magical/wishful thinking and prayer? In no way compartmentalized from daily living, Christian worship is in one sense one’s life in the New Covenant, in another sense specific private and public words and ceremonies, and in both senses a response to the Creator’s search for human love. Pastoral Prayer: Sacred or Profane? This Unit requires more reading than the others. Within your explorations please be sure to integrate the additional readings noted from other areas of this website; they are central to the understanding of these topics. Every human community has visible signs of its beliefs, relationships, and special occasions. Signs of becoming a member, continuing actively as a member, as well ceremonies celebrating adulthood, marriage, and new leadership are ingredients of many cultures and organizations. In addition, some groups have ways of expressing sorrow and forgiveness, healing, and death. It is characteristically human to dramatize convictions, changes and special moments, whether it is a nation’s parade on a holiday, a school graduation, or the awarding of Nobel prizes. For most men and women it would be unthinkable to mark such events with a passive nod! The Christian Church is no exception. Apart from the context of corporate church life, a sacrament is meaningless, if not, more extremely, a superstitious piece of magic. To be a Christian involves more than a personal faith in the redeeming* act of God and Christ. It demands an incorporation into the community where the effects of Christ’s redemption in reconciliation and charity may be actualized and nurtured. A sacrament cannot be performed by an individual by himself alone; it requires at least another party. Thus a sacrament is more than a visible token of God’s free favor and grace offered to one who accepts His redeeming love in faith and devotion. It is an instrument whereby the individual is made a member of a covenant-community and ordered by its disciplines and responsibilities. To say that any particular sacrament is necessary to salvation does not mean that God is tied and bound to bestow grace only by this means, but to affirm that in all normal circumstances an individual is made a partaker of Christ’s redemption by being related to others who share the same benefits. In the sacraments, therefore, both the personal and the social relationships of Christian salvation are publicly ratified, accepted, and communicated. The Episcopal Church affirms two sacraments as instituted by Christ and as necessary to the life of a Christian: Holy Baptism and the Holy Eucharist. Five other sacramental rites evolved in the life of the early Church: confirmation, ordination, holy matrimony, reconciliation of a penitence (sometimes referred to as penance), and unction (years ago in a limited way known as “the last rites”). In the Bible, grace is synonymous with “favor,” “mercy,” “compassion,” “kindness” and “love.” Because of our human limitations, individuals are unable to establish truly personal, faithful relationships with God solely by their own efforts. God’s grace is extended to us that we might become more aligned with God’s purposes and to mature toward a fuller communion with the Creator and each other. Neither controlling nor coercing, God’s freely given grace enables, strengthens, and empowers. Recipients of grace remain free to respond or not; otherwise, God-given human freedom would be shackled. Interpreted in various ways are issues related to administering sacraments (such as baptism) and their effects on a person unable to comprehend the occasion (such as an infant) or upon a person without faith. Any explanation cannot presume to limit God’s activity in a human life, and all interpretations need to avoid a magical, wizard-like implantation of a spiritual vitamin within a person. We need to remind ourselves that just as one cannot precisely define that “chemistry” between two persons called “love,” we cannot with scientific-like language define “grace” and specify precisely how and where it “works.” No matter how hard we try to describe or analyze relationships, we always fall short of understanding fully what is happening; this limitation in our comprehension applies both to human relationships and relationships of grace between God and humanity. Degrees of ambiguity accompany most attempts to explain intimate relationships, whether human or divine. Under most circumstances preparation for participation in the sacraments is expected. At the very least the participants should understand the basic meaning of the Prayer Book words to be used. What follows in this paragraph is harsh, but valid. Too often, clergy are guilty of liturgical malpractice – by “selling” liturgical rites; – by cowering under pressures from influential individuals who demand “christenings,” confirmations, and weddings; – by trying to appear “successful” by means of reports of numbers/quantity of their liturgical victims; or – by trying to be nice/popular/“pastoral.” This is clearly sinful on the part of such clergy, and they try to excuse their wizardry by declaring that those involved receive God’s grace regardless of any preparations. This irresponsibility flirts with magical understandings of the sacraments and is often labeled pejoratively and rightly “cheap grace.” Recipients of such reckless generosity rarely have any significant commitment to the words muttered in Services, to the Church, and to the Covenant with God through Christ. Afterwards we wonder why we see in church only a minority of the people who amble through these rites-on-demand from the ecclesiastical public utility! The sacraments are precious gifts from the Creator that are to be cherished and respected. Their true meanings indicate God’s loving search for individuals and their graceful nurture in covenant life. Not to be idolized or trivialized, the sacraments are indispensable to the evolving journey of the people, the Christian Church. Baptism/Part Three: The most important day in one’s life is the day of his/her baptism. On this day we are graced with a basic identity and purpose and welcomed into the community of Faith called the Church, the “Body of Christ.” We are baptized as Christians, not as Episcopalians, Roman Catholics, Methodists, and so on. The realization of that identity as a unique child of God, a member of the Christian Church, will depend on the nurturing we receive. Legitimate differences remain among Christians as to the age at which baptism is to be administered, whether as an infant or as an adult. If as an infant or child, the child’s family with the broader church has the responsibility for the nurturing process. Sadly, this is seldom carried through. The practical benefits of baptism are stated or implied in the readings requested in Parts One and Two of this section. Briefly, each baptized person becomes a named child of God within the Church; his or her purpose in life is to love and be loved, that is, to live the Summary of the Law. This provides the basis or perspective for all of our roles and activities, our ethnic and national heritages, and who we see in a mirror. There will be no identity crises, major problems with self-esteem, or puzzlement to the purpose of one’s life, if baptism is one’s foundation.